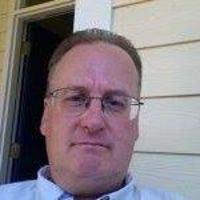 Brad Enslen - Added a small link directory to my blog. Added a small link directory to my blog. I just added a small link directory using this plugin. I’m using the free version of the plugin which is not bad although very few features in makes a decent one page directory. Now that I know how to use it I can add URL’s fairly quickly. Half the fun of the Web is exploring the Web. In the 1990’s we called these pages “Links” and we found our way around by surfing the web. I wanted a place for links to things I like. The blogroll is for people so this is for websites and stuff. I guess I have not fully gotten curating links out of my system. It needed to be more permanent than a blog post but easier to manage than a static html page. I’ll eventually add to it, this is good for a start. RamblingGit is my web presence and where you link to says something about me, my interests and what I find important.